THE ongoing saga of Dulwich Hamlet is a sad story, for many reasons, and one that should cause non-league club chairmen and officials a few sleepless nights. Not for the first time, a non-league club is being bullied by people who know how to manipulate and also, most importantly, how to use money and the law to get their own way. The club’s landlords are now being compared to a two-horned creature with cloven feet and a spiky tail. But they won’t particularly care, for such people come from the hard-nosed world of high finance, of spin and corporate speak – the audience that’s against them at present amounts to 1,500 people that watch Dulwich and a relatively modest non-league audience. Not insignificant, but for big finance firms, some of whom are used to affecting entire cities, towns and investor bases by their actions, this is small beer. More often than not, financial intrigue centres on property and in the case of Dulwich’s landlord, they are real estate investors as well as asset managers. Dulwich is one of London’s most sought-after locations – the average terrace house costs £800,000-plus and apartments come in at just under half a million. It’s a neighbourhood that has increasingly becoming the territory of investment bankers, hedge funders and other financiers. Non-league football won’t figure very high on the agenda for most of those residents, but Dulwich’s ground and surrounding areas are undoubtedly prime real estate sites. It has always been tough in modern times for London-based non-league clubs to attract crowds and remain relevant, and Dulwich themselves went through a period where their crowds were painfully low. In 2008, they averaged 315 (actually respectable), but today they are one of non-league football’s better supported clubs with a vibrant fan base that has demonstrated its importance to the community. Moreover, having seen one of the club’s spokespeople in action, Mishi Morath, there’s real passion in this corner of South London. Looking at the bigger picture, though, the events of the past few days should make non-league fans up and down the country think hard about the status of their own club. It appears to be all too easy for clubs to get bullied and that’s because of their status – most are run on a part-time basis with very few possessing the financial acumen to combat smart-talking businessmen who can loophole the system. Furthermore, many don’t have the critical mass to fight the assassins in dark suits that eye opportunity. This is where Dulwich have some significant advantages. First of all, they are in London where the politics are shifting and the argument of “haves and have nots” is simmering away towards the next General Election. Football is a game of the masses, generally of the “have nots” and certainly at non-league level, not about high finance. This drama is very symbolic of the big man stepping on the little man. Secondly, Dulwich have a very vocal and colourful following (and not because of the pink and blue shirts). 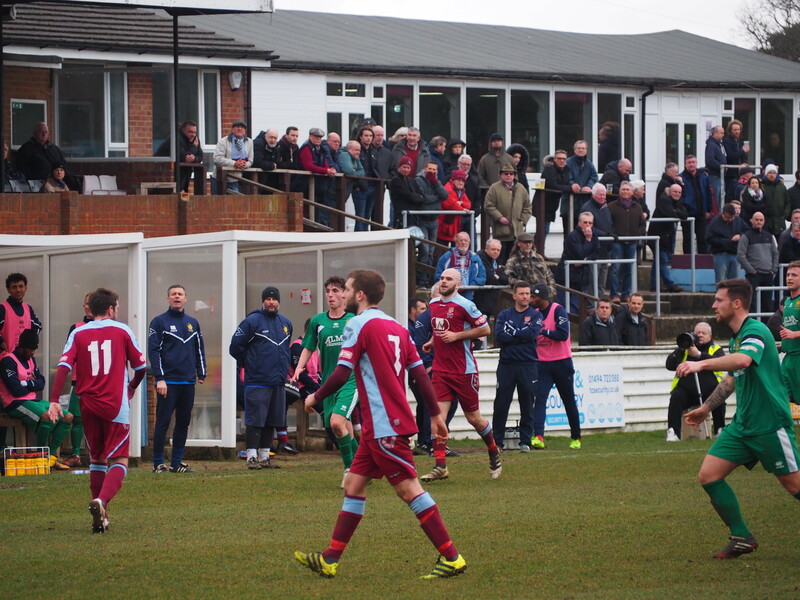 They average almost 1,400 people per game, bettered only by 25 clubs in non-league football. For any club at Step 3 level, that’s very impressive, but for a London club, it is exceptional, especially as a decade ago, crowds were less than a quarter of the current level. Dulwich have been pointing the way to how the future of non-league could look, especially if big-time football continues to marginalise huge sections of its support. At the moment, only 36 non-league clubs nationwide can count on a crowd of 1,000-plus. Should Dulwich fail, the repercussions for non-league football could be dramatic. It would send a signal that big finance can intimidate the little person, destroying micro-communities in the process. But fans can act to demand more transparency at their local club. Some have created community clubs where their financial affairs are available for scrutiny. But equally important is that fans should know who runs their club, what their business is and their background. Whenever a club gets inflated investment from an individual, the rumour mongers immediately start speculating on how “Mr Big” has made his money and frequently – and mostly unfairly – there are snipes about illegal sources. In the financial world, the process of “Know your customer” has become more vital since the crisis of 2008, similar measures should be implemented in non-league football so that the men and women on the terrace know where their money is going and who is managing it. Put bluntly, football without fans is a kick-about in front of an empty stadium. A crucial part of the game is its atmosphere, the buzz of the crowd feeding-off the players and the men on the pitch being motivated by the sound of applause, encouragement, criticism and that very contentious word, “banter”. Clubs have to cherish their supporters, make the “customer experience” enjoyable so that the baton is passed-on down the generations. They need to be treated with respect and clubs need to understand the value of gratitude. So, the very best of luck to Dulwich, non-league football is counting on you to win through. Because you never know where the next property developer, hedge fund or investor will turn up. We should be asking, though, how many Dulwichs are out there?